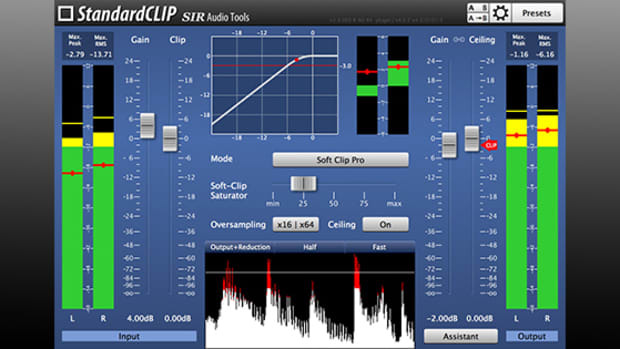 Our review of the follow-up to Klanghelm's widely-acclaimed SDRR plugin. Over the past several years, boutique developer Klanghelm - a one man shop led by Tony Frenzel - has released a series of incredibly affordable and versatile mixing plugins which have earned widespread praise and glowing reviews among engineers and producers alike. In this review we’ll put Klanghelm’s newest release, SDRR 2 - a follow up to the widely-acclaimed SDRR saturation plugin released in 2013 - to the test to see where it ranks among our favorite in-the-box saturator and enhancement plugins. First, let’s talk about that price - at just $27, SDRR 2 is one of, if not the most affordable plugins on the market - and given its outstanding sound quality, it’s a downright steal at this price point. Klanghelm has what’s probably the easiest and smoothest installation process we’ve seen from any developer to date; simply login to your Klanghelm user account, download your installers, and install the plugins - no iLok or Syncrosoft dongle needed, and no tedious authorization process to go through. We’re always in favor of plugins that make the installation and authorization process as simple as possible for the end user, so we are big fans of Klanghelm’s approach here. Opening the VST/AU/AAX/RTAS plugins for the first time reveals a compact yet deep interface; SDRR 2 manages to pack a tremendous amount of tweak-ability into a relatively simple and small GUI. The top of the plugin’s GUI flips between A/B settings, a dropdown preset menu, a GUI scale adjustment, and high quality (switchable between CPU-efficient normal mode, low latency HQ mode, and linear phase oversampled HQ mode) and calibration controls. Below the top bar you’ll find a large VU meter - with buttons to switch between SDRR 2’s 4 distinct saturation modes - in between controls for Input Drive and Output Level. Further down, you’ll find controls for Stages (controls the depth and coloration of the overall saturation), Crosstalk, and 4 rotary controllers which change depending on the saturation mode selected. Overall, SDRR 2’s GUI is beautifully rendered even on 4K Retina displays, and is one of the better-looking plugins we’ve seen to date. Rotary knobs move smoothly and predictably, and the interface has clearly been well thought out and carefully engineered. 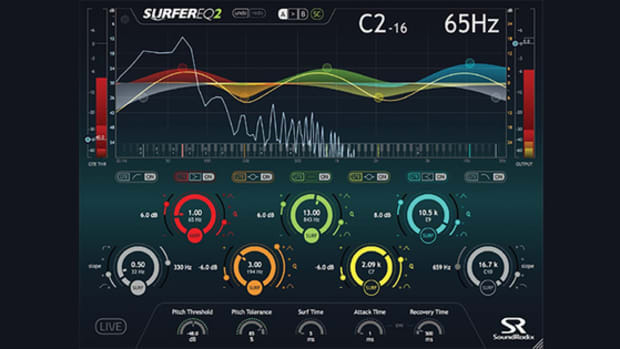 SDRR 2 is built around 4 saturation modes - Tube, Digi, Fuzz, and Desk - each of which reveals a markedly different tonal character as well as different GUI controls. While each mode features a distinct sound, all 4 sound absolutely stellar and convincing, giving you several flavors of some of the best in-the-box saturation we’ve heard anywhere. It’s important to note that SDRR 2 has been calibrated by default at 18dBVU, just like almost all analog outboard gear; as such, it’s important to gain stage into the plugin properly (either by controlling the input level you’re feeding in to the plugin, or using the input trim control within the plugin), or to be aware of this setting and use the “Cal” knob to adjust the plugin’s internal calibration. Ideally, you want to see the VU meter bouncing between the -1 and +1 range for most mixing purposes; hit the plugin with less signal and you won’t be driving it to full saturation, and hitting the meter fully into the red will produce more outright saturation and distortion depending on your source material. In our testing, we found ourselves reaching for the Desk mode substantially more than the other 3; while all 4 sound great, Desk excels at the kind of bread and butter saturation and EQ/compression most Hip-Hop and EDM producers are looking for. Modeled after the classic characteristics of analog consoles, Desk aims to provide a supremely flexible and usable channel strip for track, buss, and master processing using a minimal control set - something SDRR 2 accomplishes with ease. Hitting the plugin with enough signal to get the VU meter hovering around 0, cranking the drive up to ~2, and adding EQ where necessary using the superb ‘Tight’ modes on the low and high bands was often enough to completely transform lifeless, muddy, dull sounds into polished, mix-ready tracks. We found the EQ’s Tight controls to provide some of the highest quality one-knob EQ adjustments we’ve found in any plugin; on the low band, Tight emulates the famous simultaneous LF boost-cut found on Pultec EQ’s, while the high band’s Tight control emulates the Neve 1073’s unique High Shelf design. While Desk got the majority of the use in our sessions, all three modes are extremely useable and flexible depending on the needs of your source material. Tube provides two superb tube preamp emulations, easily supplying warmth and tone reminiscent of top-notch tube outboard gear; use it to beef up any bass or drum sound, or to remove digital harshness from any source. Digi provides Klanghelm’s take on what a boutique digital saturation unit would sound like, producing tones ranging from subtle enhancement to outright bit-crushing and sample rate reduction effects. Fuzz is one of the more unique saturators we’ve encountered to date, modeling two distinct approaches to Germanium transistor circuitry common to guitar pedals and stompboxes. While the ‘Gated’ Fuzz mode produces the tones you’d expect out of a typical Germanium pedal, the ‘Smooth’ option provides a much, well, smoother tone than you’d expect out of this type of circuitry; it’s usable on synths, busses, and even master busses in some cases, as long as you don’t overdrive it too hard. 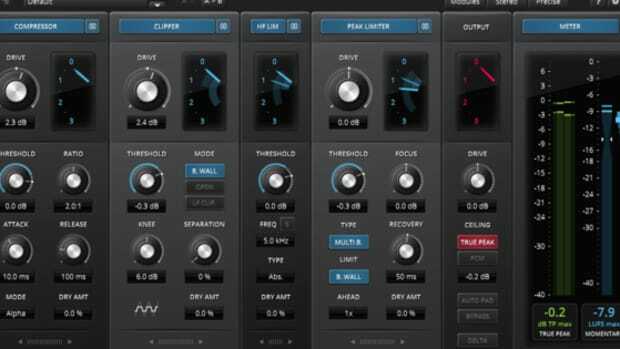 Rounding out the superb distortion and saturation models is a Dry/Wet control, Input and Output trim controls, along with a pretty unique Drift control, which can be used to add movement to static sounds. With Drift set to 0, SDRR produces a very static, steady-state saturation; increasing the Drift control increases the variance and movement in the saturator’s internal components (much like you might find in a well aged analog circuit), producing a more lively, moving saturation character. While the effect is rather subtle, it’s most definitely something that can accumulate over the course of a mix if you use SDRR across various channels, adding an organic movement that’s hard to find in the box. 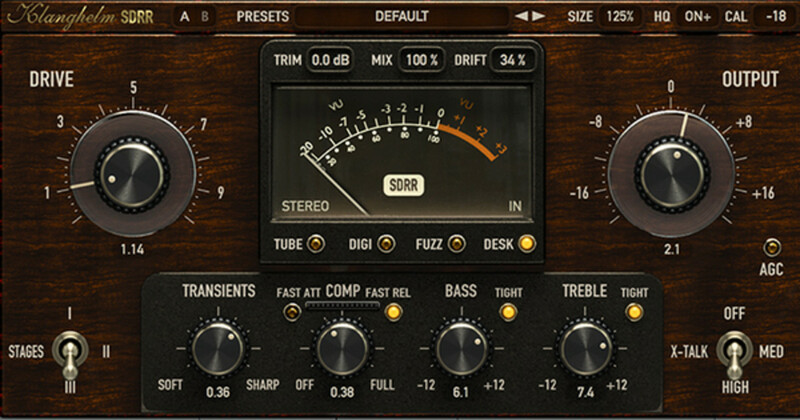 Especially when combined with SDRR’s superb Crosstalk control (which emulates the stereo crosstalk found in adjacent channels of many analog consoles and circuits), SDRR 2 is one of the few plugins we’ve found that can impart a genuine sense of analog tone, warmth, and non-linearity in the box. SDRR 2 is one of the few plugins we simply can’t find any major issues with; the price, sound quality, and ease-of-use are all absolutely stellar. It’s a good time to be saturating in the box; we’ve recently reviewed a number of stellar saturation and distortion plugins, all with genuinely unique sonic character and functionality - and SDRR 2 is as good as any plugin we’ve tried to date, with a substantially better price point (it retails for 1/6th-1/9th of the price of many other plugins we’ve reviewed). 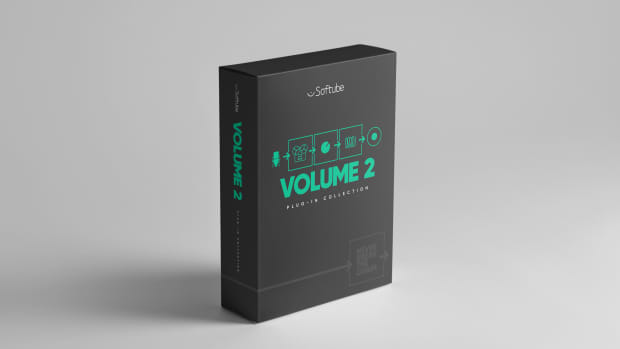 We’d recommend SDRR 2 as a superb first option for producers looking to begin expanding on their DAW’s built in plugin lineup, and it’s an equally great purchase for bonafide plugin junkies - you simply can’t go wrong here. Supremely usable one-know LF and HF band EQ’s. For any producer or engineer looking to beef up their DAW with a genuinely novel approach to EQ. The elysia karacter plug-in is superb at distortion and saturation. StandardCLIP’s simple interface means you can get results quickly, so long as you know what you’re after. 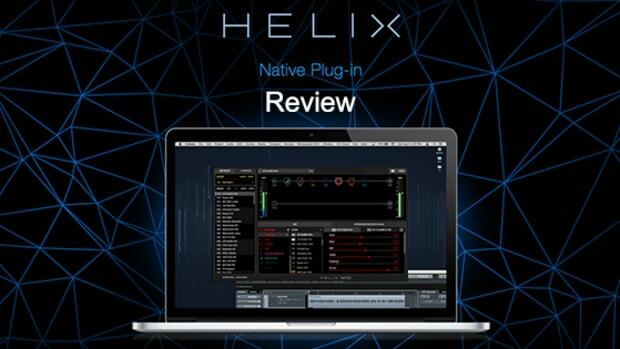 Electronic and hip-hop producers: seriously consider Helix Native for your plugin arsenal. 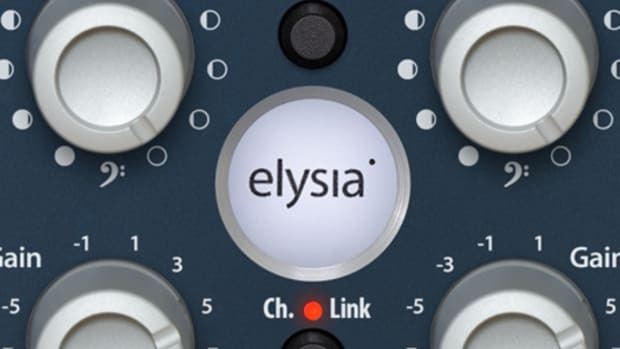 We've reviewed some stellar SSL plugins. 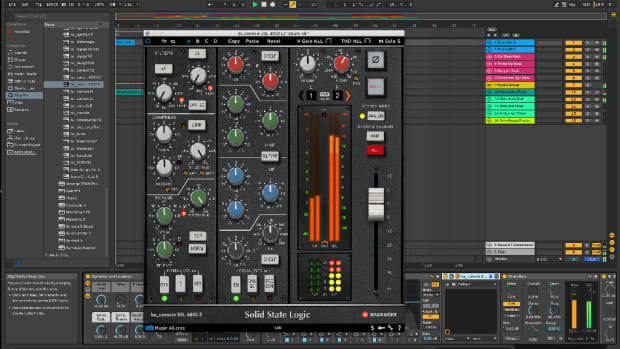 And then we got our hands on a bundle from Solid State Logic. If you’re looking for some analog mojo and magic in your DAW of choice, you simply can’t go wrong here. Softube delivers top-notch processors, and their DSP remains up there with the very best in the industry.